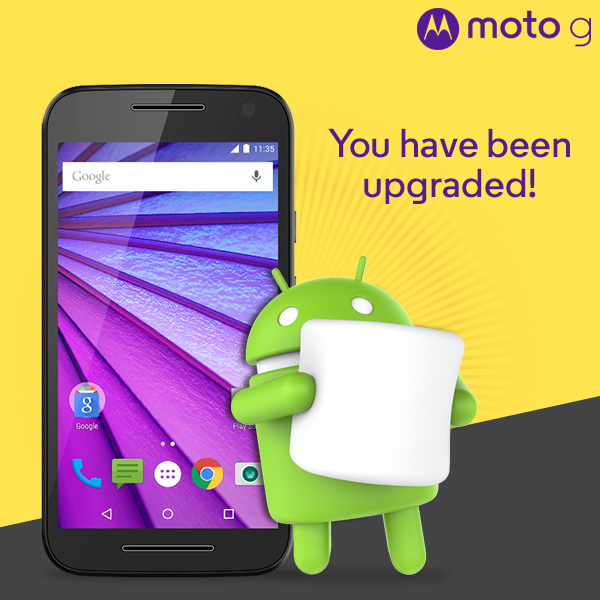 Motorola has a little new year's treat for Moto G owners in India. The third-gen phone is now getting the Android 6.0 update from 5.1.1. The announcement came by way of a tweet, so there's not a ton of detail on the timing of the rollout. Motorola started pushing Android 6.0 to the Moto G in North America about a week ago, but most devices still haven't gotten it. Likewise, it doesn't seem like most (or any) users in India have gotten the update yet. Feel free to keep obsessively mashing the update button, though. When the update does arrive, it will add features like Doze mode and granular permissions. It will also remove the Migrate and Assist apps, which Motorola is discontinuing in Marshmallow.